If you're on a tight schedule and up against a deadline, or on a restricted budget ... A remote drum session can be both cost effective and time efficient. I can give you up to 16 tracks of drums in WAV or AIFF at 24 bit master quality, even if you're just doing a demo. Alternatively, if the idea of lots of separate tracks seems over-whelming, I can just give you stereo bounces. 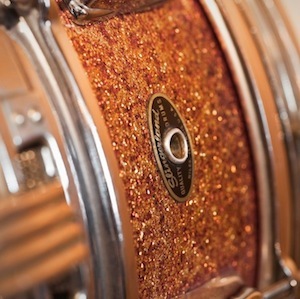 There is no time wasted getting a sound up, and I have a great selection of gear to chose from, so that there are loads of options for picking individual drums... snares, kicks and toms... cymbals... whatever... to get you the sound you want. I've also got a good selection of mics and outboard too. If you're not quite sure what you're looking for I'm happy to talk things through and make suggestions and you can have as much input as you want... though of course I'm equally as at home following your lead. I normally try a few things and then send you an mp3 which we can discuss before I start going for takes. When I'm done I like to send you a few takes so you've got some editing possibilities if you want them. I always try to give you options sound and performance wise, especially if the track is in its early stages. I'll also talk you through which channels to use depending on what sound you're going for as, although I might send you 16 separate tracks, sonically the kit can sound better using just some of these... it's up to you.